Below is the sample of how to retrieve related entity’s field value using oData. Let’s take a example ..suppose we want to retrieve some field value from SystemUser entity(User Name and EmployeeId) OnLoad of Account where OwnerId of Account is equal to SystemUserId of SystemUser entity.Write below code on OnLoad of Account entity. Note : don’t forget to load json2.js and jquery1.4.1.min.js framework on Account Form. Hope it will help u. 2. Display the result( created record ) by adding Silverlight web resource(.XAP file) on entity form. 2. 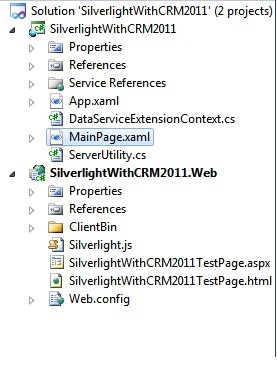 Enter name of the Solution as “SilverlightWithCRM2011” and click “OK”. 3. Select the option selected in below image. 4. 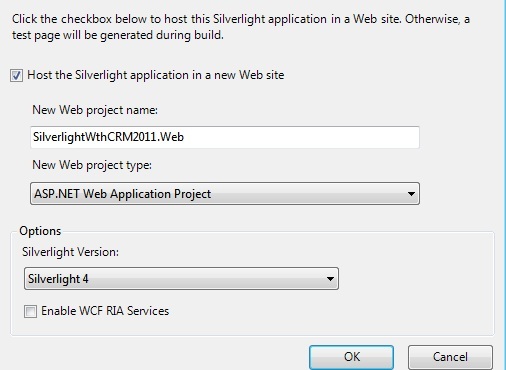 Click on “Ok” to create the Silverlight Application Project which will be similar to below. In Microsoft Dynamics CRM 2011 navigate to Settings. Choose Customizations and then Developer Resources. 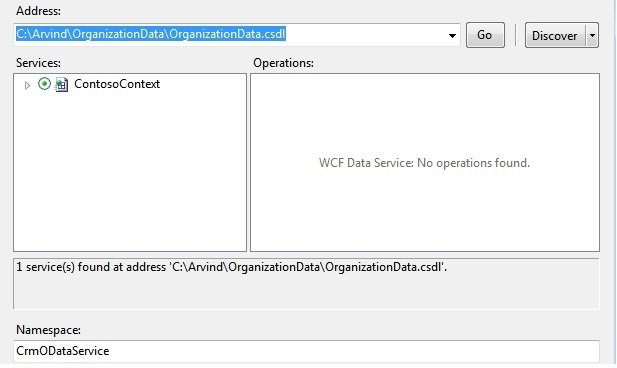 Under Service Endpoints, click the Download CSDL link and save the OrganizationData.csdl file to your computer. In your Visual Studio 2010 Silverlight application project, right-click References, and then click Add Service Reference. Type the path of the location where you saved the OrganizationData.csdl file in step 2, and then click Go. Enter an appropriate CrmODataService and then click OK. Below is the sample image. 1. The #silverlightControlHost style width is set to 100%. 2. The script reference to the Silverlight.js file is commented out (or removed). This will be provided by Microsoft Dynamics CRM. 3. A script reference to ../ClientGlobalContext.js.aspx was added. This provides access to a context object that is accessed from the code within MainPage.xaml.cs. //The trailing forward slash character from CRM Online needs to be removed. /// Creates an Account record in CRM. /// Callback method invoked when Account is done being created. //Retrieve the Account just created. /// Will display exception details if an exception is caught. //attributes added the code will fail. //as each of them is completed. //No ServerUrl was found. Display message. Both project in solution should be build successfully. Now take SilverlightWithCRM2011.xap and SilverlightWithCRM2011TestPage.html and create two Web Resource of type XAP and HTML respectively. Give the proper name of the Web Resource as below. An HTML page can be used to view the Silverlight control outside a form. The only purpose of this web resource is to provide the URL of the server when the Microsoft Silverlight control cannot access it itself through the Xrm.Page.context.getServerUrl when the Silverlight web resource is added in an entity form. The name of this web resource just reflects the relative output location of the .xap file in the Microsoft Visual Studio 2010 Silverlight application (version 4) project. The Silverlight Application UI looks like below. It will give the output similar to below.